Unique low cost bearing temperature monitoring system for use with NTC temperature sensors. ADB810 or WDB810 series sensor types from 4B are recommended. 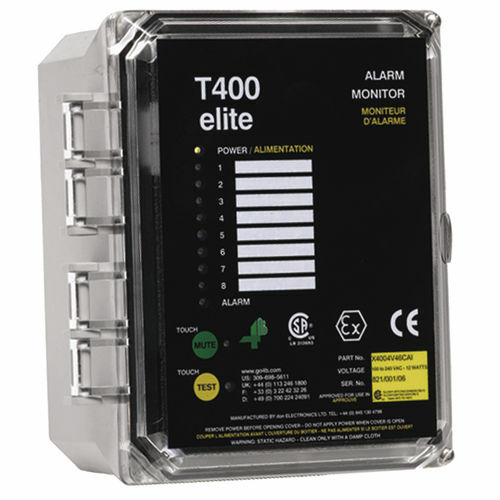 The T400N ELITE is a microprocessor controlled unit which is able to accept signals from different NTC sources in 8 zones, and is able to cause alarm and shutdown of the machine when hazardous conditions are detected. The control unit is housed in a self contained wall mounting enclosure. A test push button on the lid of the control unit provides for full system verification. 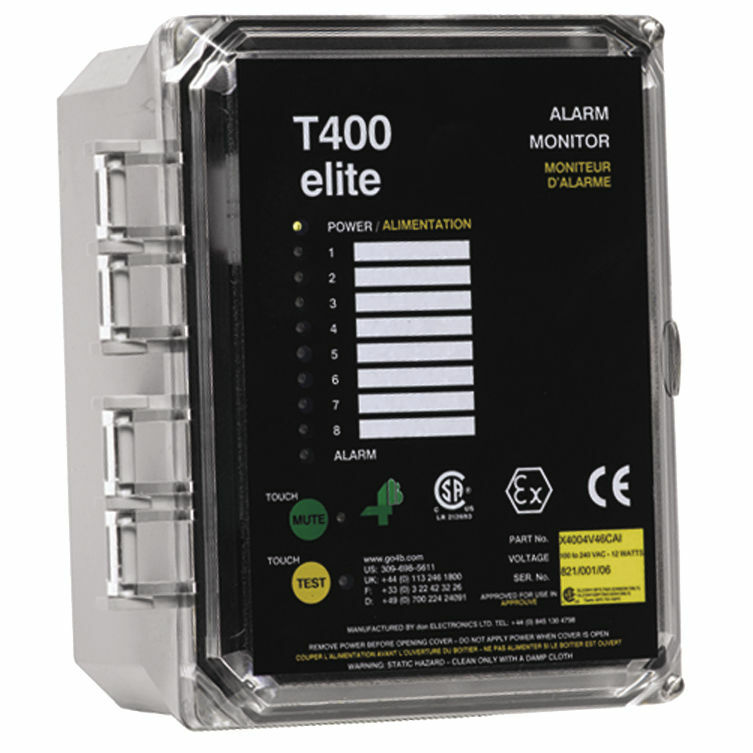 Alarm and status LEDs provide means of quick location of the alarm condition, and voltage free relay contacts provide separate alarm and shutdown control. An alarm mute push button is provided on the lid of the control unit and additional connections are provided for an external alarm mute functionality. A rotary switch is used to select the temperature alarm value.